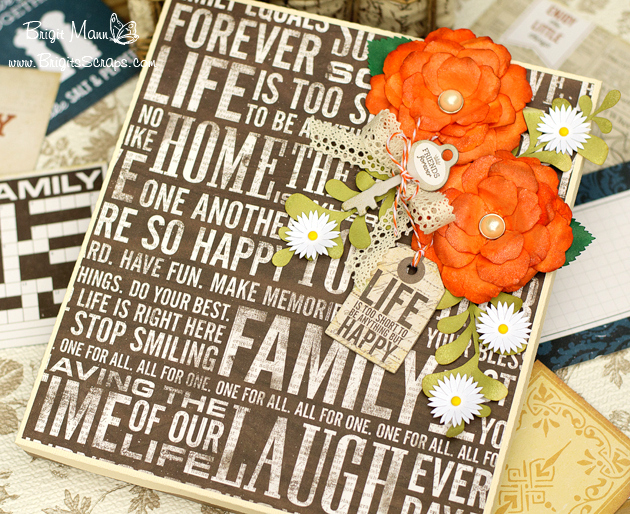 Hi everyone, I have a wonderful project life box from Lori Whitlock's shop that stores 4 x 6 photos and 3 x 4 life cards. This box would make a wonderful gift or use it yourself to keep your project life cards nicely organized. The pretty paper is from Echo Park's Reflections designed by Lori. 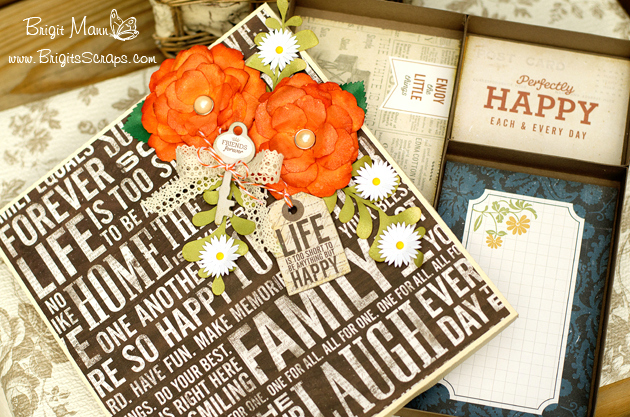 This is such a gorgeous collection with rich beautiful colors, it's perfect for Project Life layouts. The inside of the box has divider sections, I used two 4 x 6 and two 3 x 4 but it fits three 3 x 4 and one 4 x 6 also, I can't wait to fill this up. These roses also from Lori's shop go together so beautifully, they are all individual petals, I colored mine with distress ink and some glimmer mist. 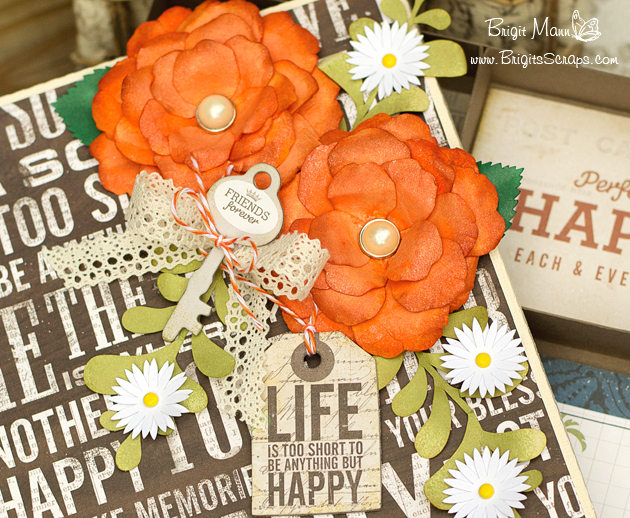 For the little white flowers I used one from the 5 layering flowers set, duplicating one layer. The lighter green leaves you can find at the Silhouette online Store and the darker green come with the roses. The key and tag are from the Reflections 6 x 12 chipboard accents and the pearls are in the decorative brads set that match. I also used some crochet ribbon and Orangesicle Trendy Twine. Thanks for stopping by, I hope you've enjoyed my project, you can visit me at http://www.brigitsscraps.com. Oh I love this box!!! I love it for PL but it would be great for tags too! You did a great job of making it so cute Brigit! Beautiful box. Love the papers.